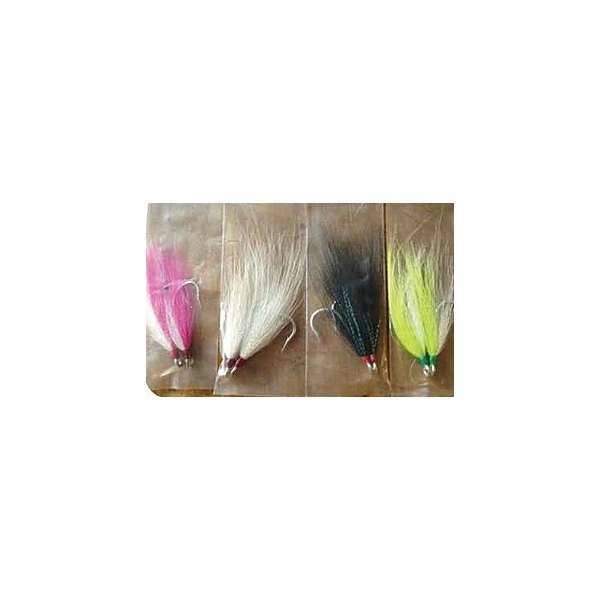 The Runoff Bucktail Hooks are made for Runoff lures. Didn't hold up that well. They have no thread on the underside of the feathering and it allows fish to easily rip them apart. For the same price you can get your own tying materials and produce a better product than these. 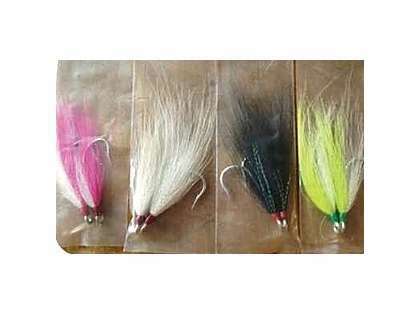 These are great for teasers for either stripers or fluke rigs. I picked up mine to replace the stock treble hooks on some deadly dicks. Really helps the sand eel presentation having these bucktails on. Great with fluke .. using like teaser hook dressed with gurf..
Fished about a foot above a Spro, this combination is a Fluke killer!!! I use these for Fluke teasers, they're very well made. 2 in a pack for $3.50, you cant go wrong! What size hooks come with these teasers? The hook size seems to be a 5/0.